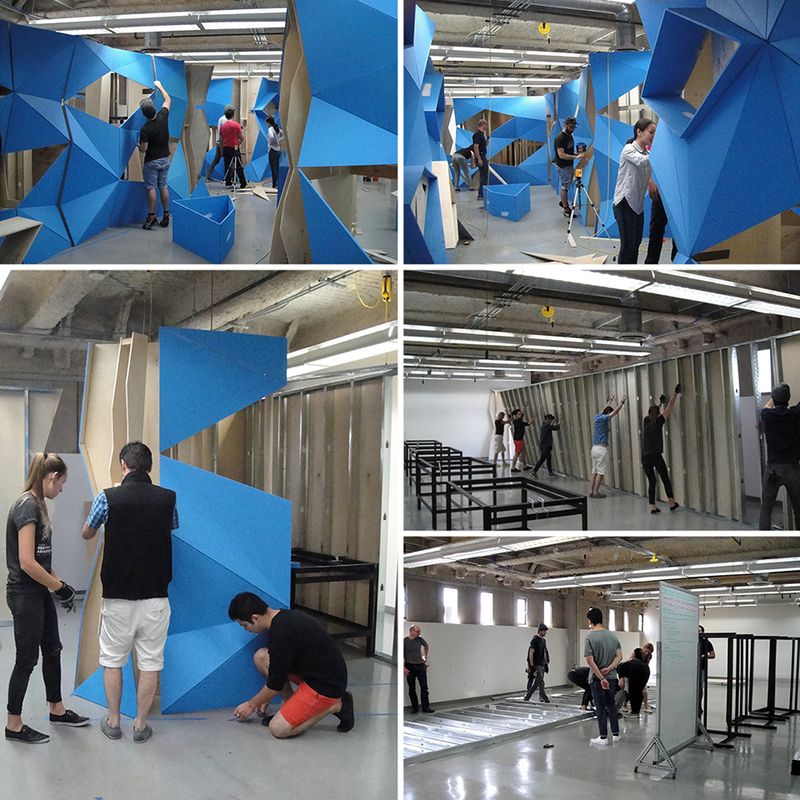 2014 Architecture/Landscape/Interiors graduating seniors (Thomas Acosta, Hala Alasmari, Sally Choo, Rodrigo Carmona Flores, Rachel Kim, Golnaz Noroozi, Steve Peraza, Sandra Sadauskaite, Jihae Shin, Julia Sieh and Erfan Zamani) currently are installing GEODE. 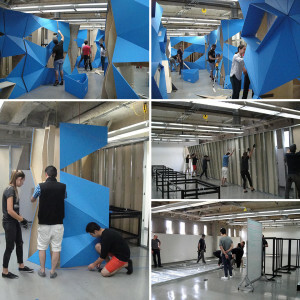 The site (A/L/I studios, 5th floor, Ahmanson Hall) was cleaned-up and installation began on April 30. A/L/I seniors are assisted by A/L/I sophomores Levina Djajadi, Stephanie Hernandez, Tommy Hu, Harim Kim, Darien Noguchi, Mi Na Park and Michelle Tiet, and Foundation students Ibrahim Ghulam, Adam Harris and Zhong Yang at various points in the project.